Your ancestors are one of the strongest connections you have to the spirit world. You exist because of them and just as any loving grandparent, aunt, or uncle would, they continue to have a vested interest in your life and are there for you to come to when you need advice, comfort, or support. They are there for you to talk to, to learn from, and to get some additional help from when everyday life becomes less easily navigable. Taking steps to actively remember and honor our ancestors allows them to be more active in our lives, making it easier for us to communicate with them and for them to make their presence more strongly known in our lives. That active remembering allows us to build relationships with these family members that transcends death and reminds us of the cyclic nature of life -helping us to be more grounded in our spiritual practices and consciously aware of the interconnection that exists between the physical and spirit worlds. 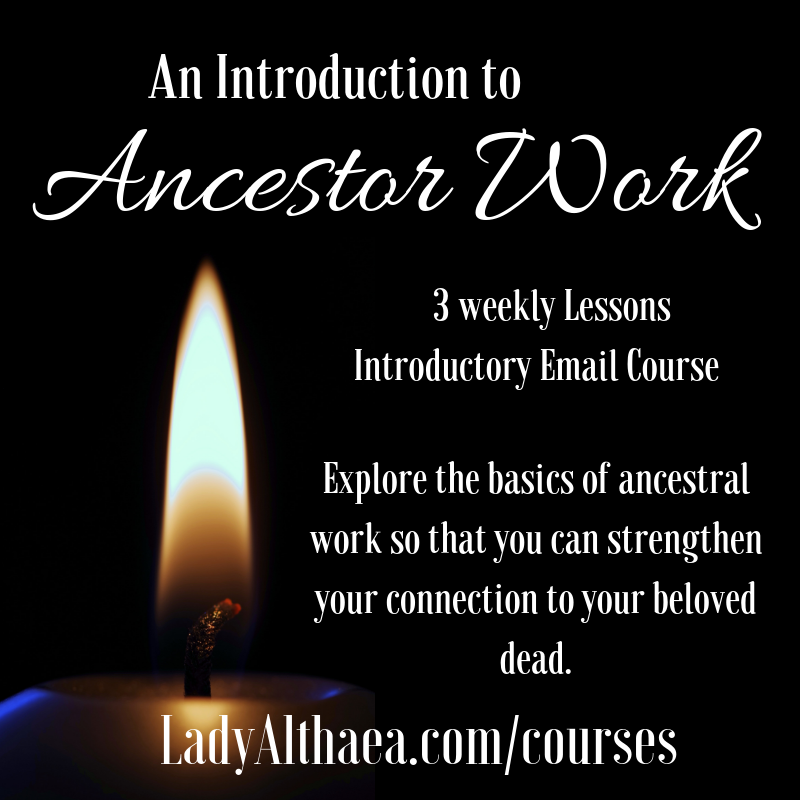 Throughout this 3 week course, we will explore the basics of ancestral work so that you can strengthen your connection to your beloved dead. This will not be a comprehensive course, exploring the variations of ancestor reverence across the planet, rather it will be a hands on course so that you can begin honoring your ancestors and moving toward working with them in your spiritual practice.